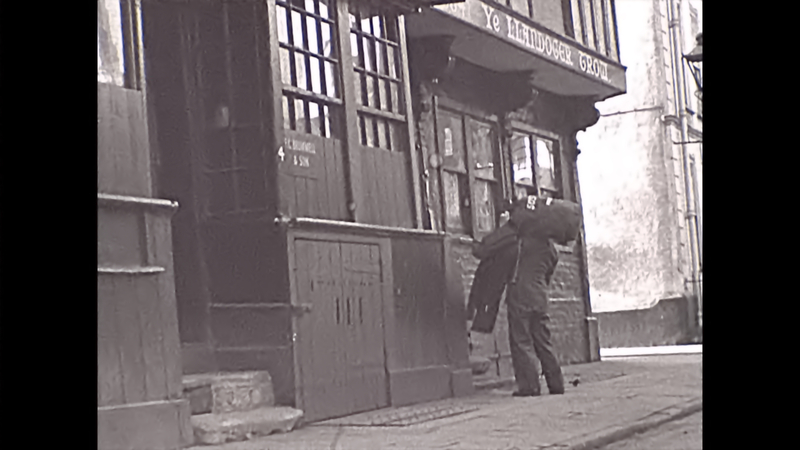 This silent 16mm film follows a sailor returning home at Bristol Docks. 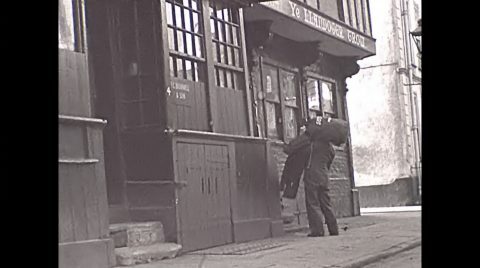 He stops at the Llandoger Trow pub for a pint near Welsh Back but has a few too many before staggering back to his house – which looks like the meeting place for the Cine Circle club who shot this film. The code on this 16mm film suggests it was made between 1945 and 1947 . The sailor walks around the dock area in Bristol where various businesses are running including Warren & Co, Charles Hill & Sons and FC Brummell & son. The footage was created from this 7″ bakelite reel of 16mm film by digitally scanning each individual frame and combining them to form a movie. Much of my family history originates in Bristol so I always look out for any interesting or undiscovered footage of the area. When I mentioned this film to my father who is now in his late 80s , he recalls going into the pub during the 1940s when this was shot. My parents moved to Devon before I was born so I don’t have any personal knowledge of this area but I did make a pilgrimage to the Llandogger Trow recently to see the Pub for myself.. 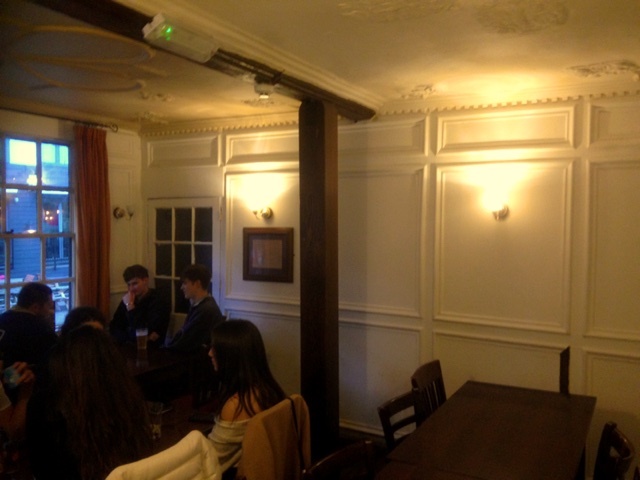 The room inside where the mariner sits with his pal for a few drinks is essentially the same ! It’s strange to think that 70 yeas ago a couple of friends were sat in exactly the same spot enjoying a few pints while the camera rolled ! The dock area has also changed much over the intervening years. The working dock has now morphed into an upmarket area with exclusive waterfront apartments and restaurants. It’s nice to see that the pub in the film hasn’t reallly changed at all and has retained its character and charm. If you have enjoyed watching this film please share with your friends social media, they probably know the area better than I do ! 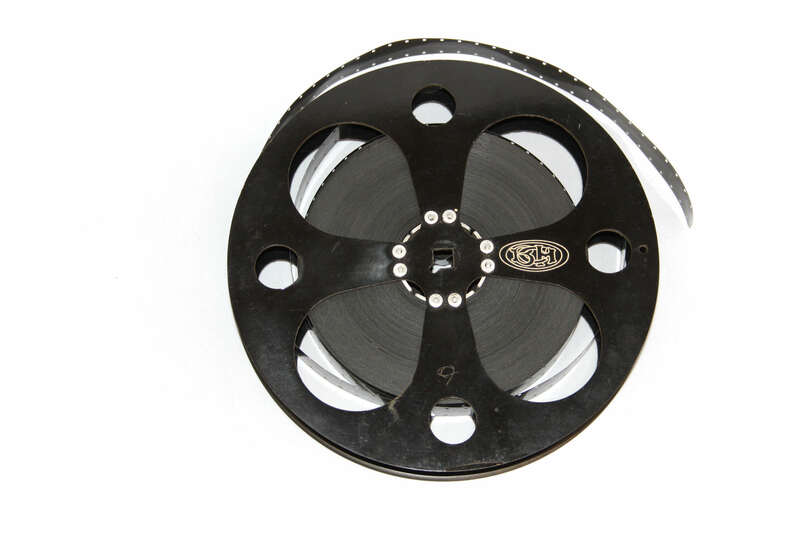 The film to digital scanning process on this 16mm reel was the same technique as we use on customer films. The reel was initially given a light physical clean to remove as much dust and dirt as possible, then each frame was photographed to create a large number of cell images. These images were combined to create an MOV file which can be imported into editing software. Once the file is in a movie format it can be speed corrected to make it play at the right speed for modern devices such as smart TVs, computers and tablets. Good image quality is vital for an enjoyable viewing experience so each frame is analysed by sophisticated software to clean up the footage and reduce dirt and scratches . Once the process is complete it’s rendered as an HD MP4 file for uploading and sharing. If you have old home movies that haven seen the light of day for a few years, please get in touch and we will transfer them to digital for you. We treat every film we receive with great care and are committed to offering the best film to digital conversion service available. 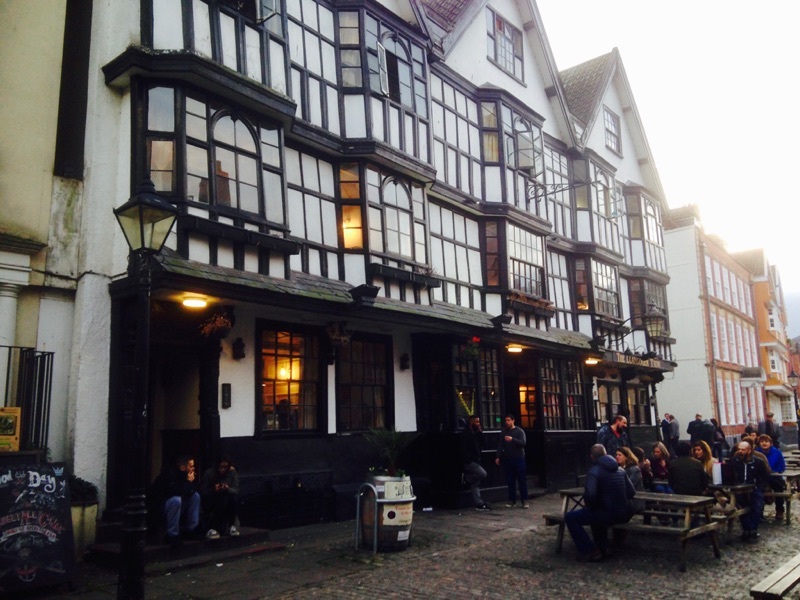 The Llandoger Trow is also featured in Bristol Pubs by James Macveigh. 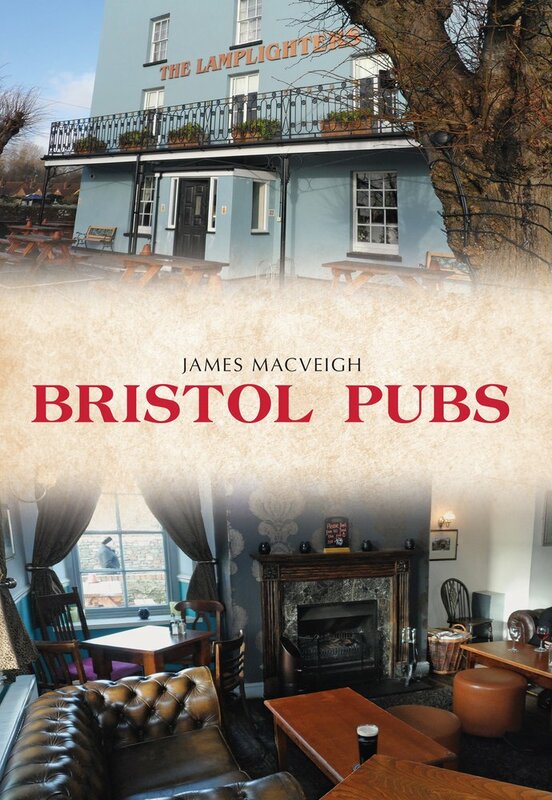 This book is full of local history and the history of the Pubs in Bristol.